Pull up a seat... Sit back... and Relax with your Favorite Caribbean, Country, Blues and Rock Tunes... from the Past and Present! 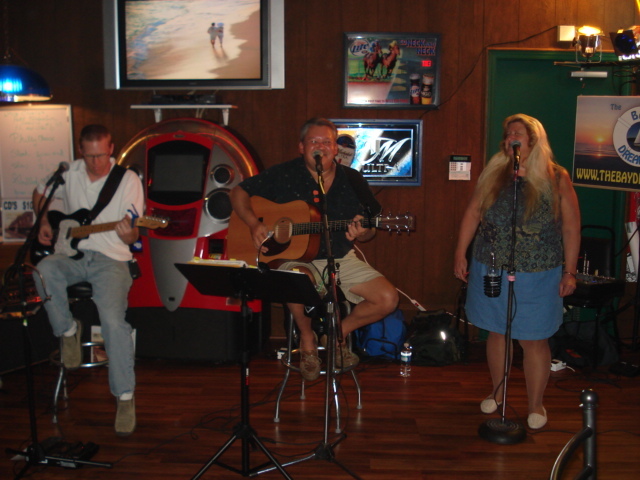 Always performed in a friendly laid back atmosphere! 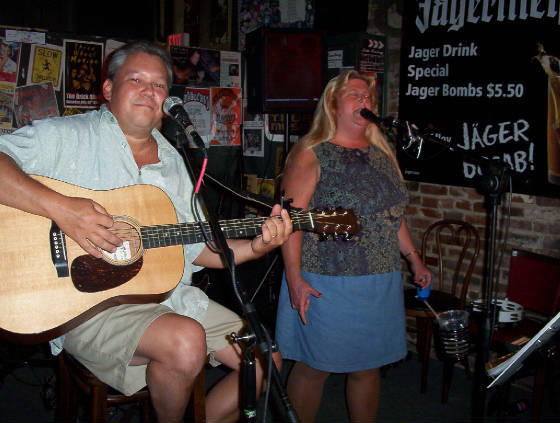 Herb & Kim Semones formed "The Bay Dreamers" as a duo based out of Frankfort, Kentucky! 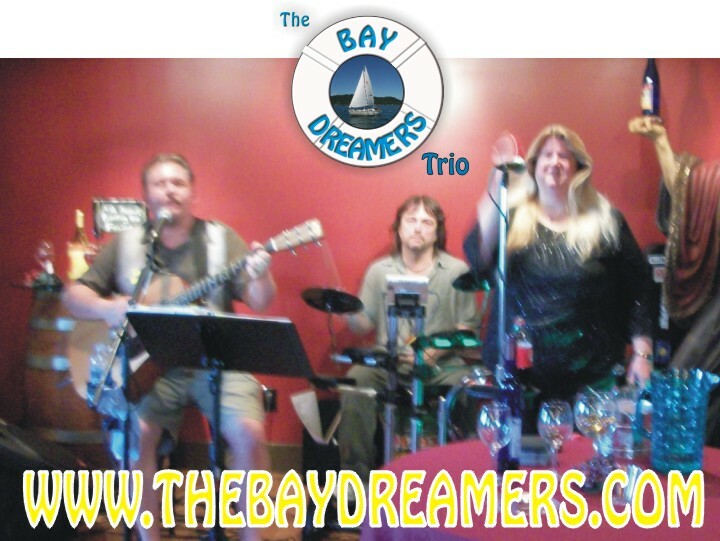 We have recently added Gary Harmon on Drums/Percussion and are now aka "the Bay Dreamers Trio"! 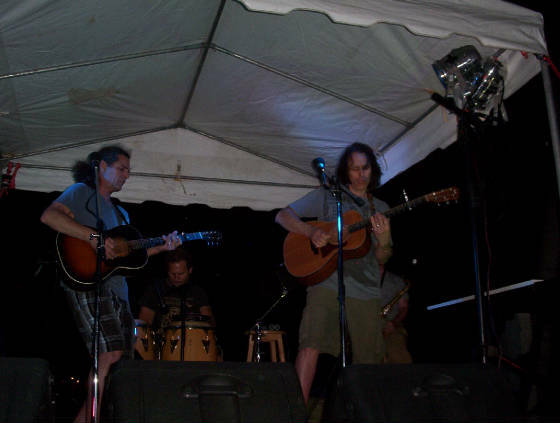 Gary plays in a variety of local bands and his experience really adds to the island vibe we have been trying to achieve. 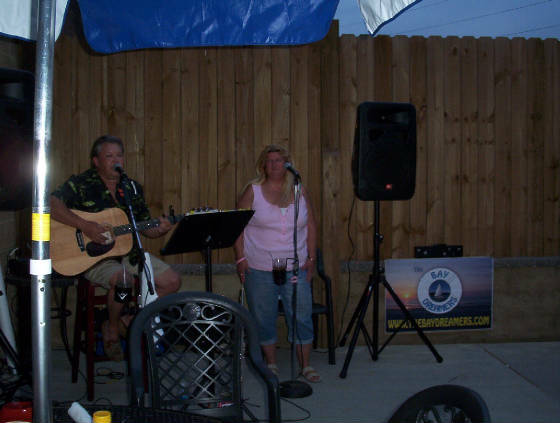 We have played most of the local Bars and Restaurant Patios in the area over the last couple of years! 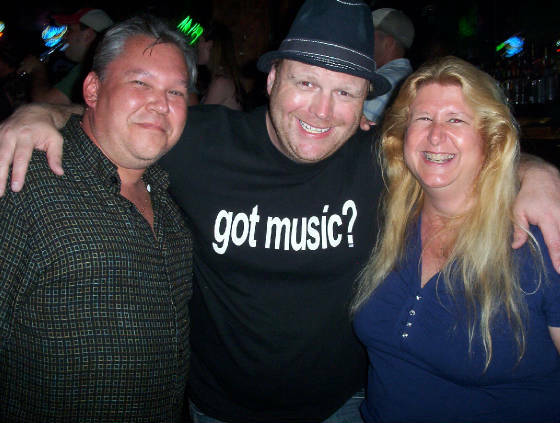 We have built a very loyal fanbase who we appreciate dearly...thanks guys!!! The variety of our songlist ranges over five decades and more musical styles than that! From Jimmy Buffet to Pink Floyd to Sugarland with a nautical theme thrown in for good measure...SIT BACK WITH A COLD ONE AND ENJOY! Nov. 2nd - "Bow Wow Meow"
Headlining stage 2 Saturday night! 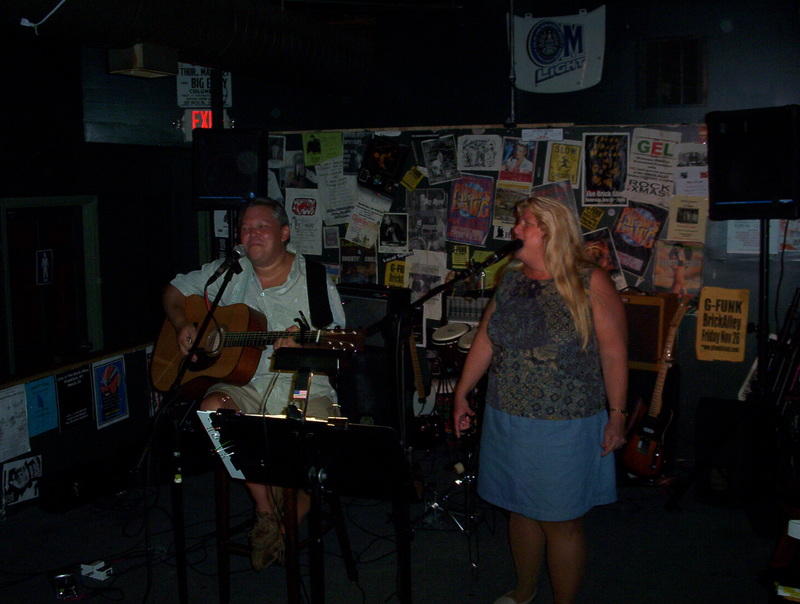 The Bay Dreamers at the Dragon Pub! 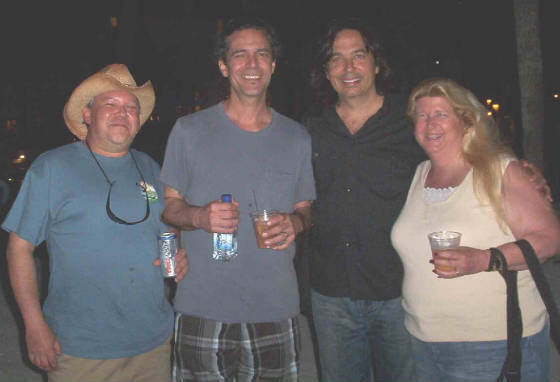 2009 KEY WEST SONGWRITER'S FESTIVAL! The Bay Dreamers and Bobby Pinson! Herb, Chuck Cannon, James Slater and Kim at the final concert! 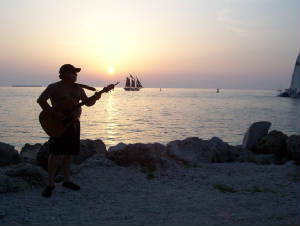 Fort Zachary Taylor Beach Key West at Sunset! 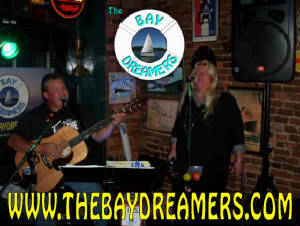 The Bay Dreamers are husband and wife team Herb and Kim Semones! 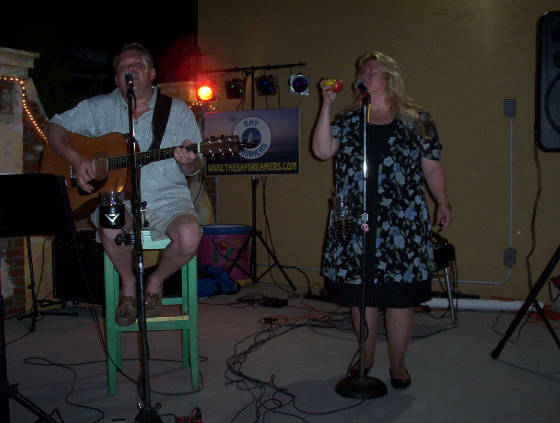 The Duo was named after our 1976 Catalina 30' Sailboat "Bay Dreams" In our off time we spend as much time as possible in Herb's birthplace, Key West, Florida! We were married on the Island in 1993. As an official and honorary member of the Conch Republic we have participated in the Conch Republic Independence Re-enactment Battle aboard several different sailing vessels under our own command and aboard the Schooner "Western Union" under the command of Rear Admiral Finbar Gittleman himself! 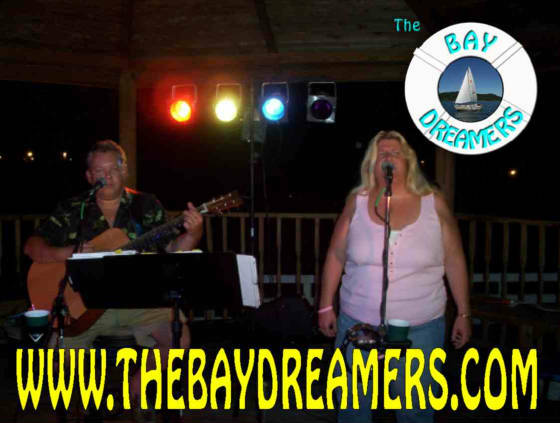 The Bay Dreamers were formed as a way to make some money doing what we love playing music and making people happy! 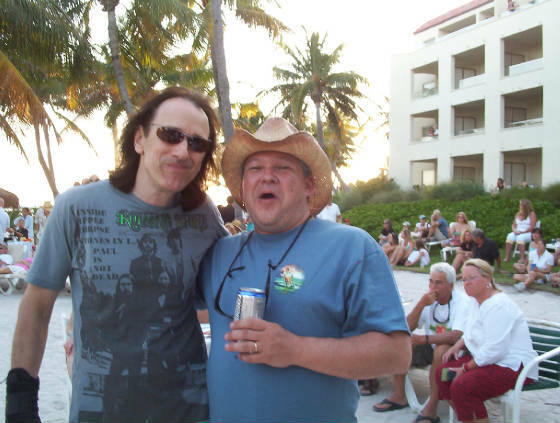 After attending the Key west Songwriter's Festival in 2009 a spark was re-united with Herb's love of songwriting! Writing daily is becoming a huge part of my life! 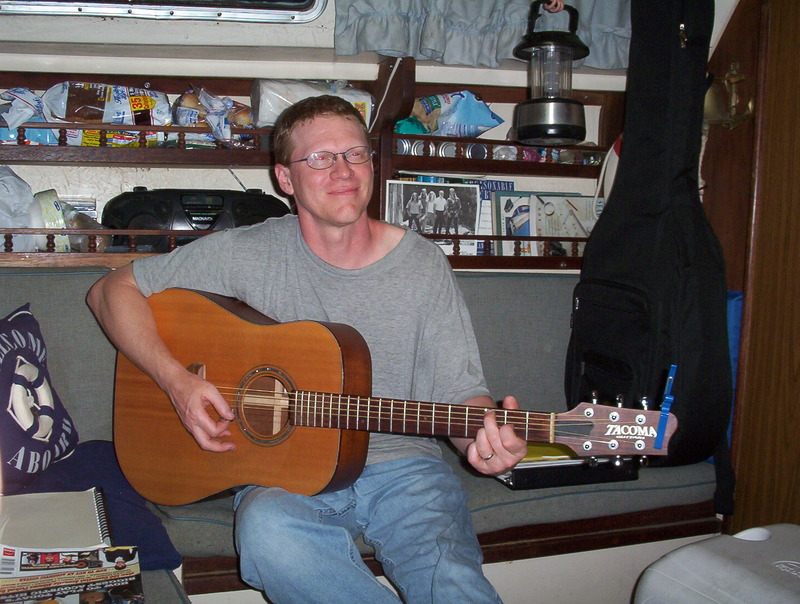 I have always written songs but, just recently started taking it more seriously as a viable career option! We would eventually like to migrate to the Keys in the winter and play regionally in the summer! This is our grand retirement plan! 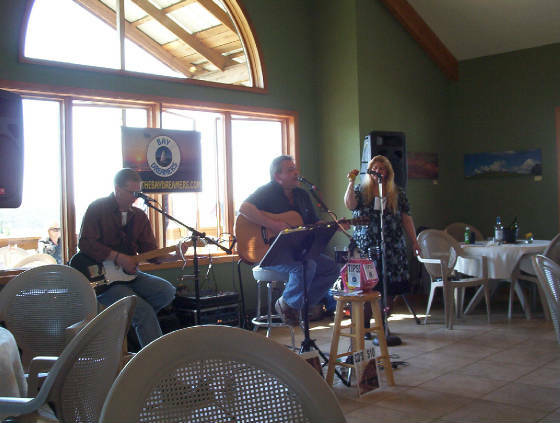 Live at Lover's Leap Winery! "the Bay Dreamers" Hosting Open MIc! The Florida Keys are a Fisherman's Paradise! There are numerous outstanding places to fish up and down the Florida Keys! From a private charter on a 60' Sportfishing Boat or alone in the backcountry under a bridge! There is simply NO BETTER PLACE TO FISH. 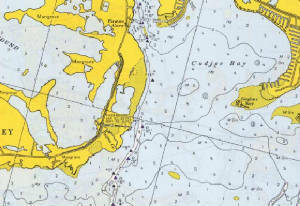 One of our favorite fishing spots in the Keys is on Sugarloaf Key (see chart below). Under the bridge at Harris Gap is one of the best alternative fishing spots in the Keys if the weather is too bad to go out to the reef! Go at slack tide if possible! 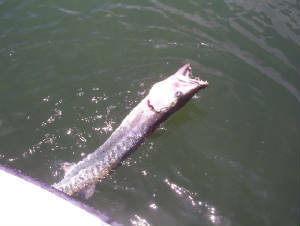 The Barracuda shown in the picture was caught in Tarpon Creek, the Channel leading into the flats of Sugarloaf Sound! (approx. mile marker 20) This area is also known for excellent snapper, bonefish, permit and shark fishing! Jeff jamming/fishing on "Bay Dreams"
CLICK PICTURE FOR LIVE TARPON FEEDING CAM! CHECK OUT THE COOL LINKS BELOW! "Fifth on the Floor" Official Webpage! The Dragon Pub in Frankfort! 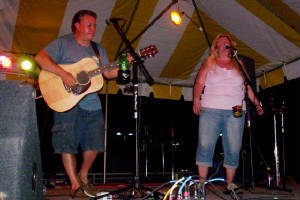 The Kelly Richey Band Official Website! 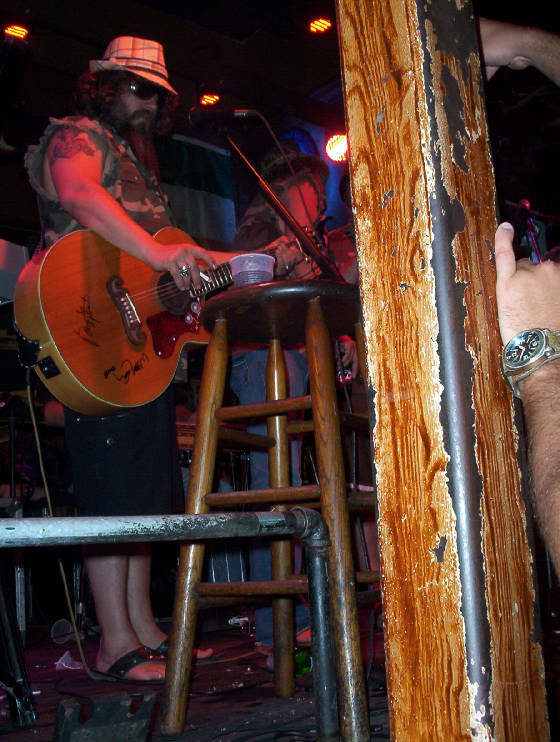 Live Webcam From the stage at Sloppy Joe's Bar in Key West! 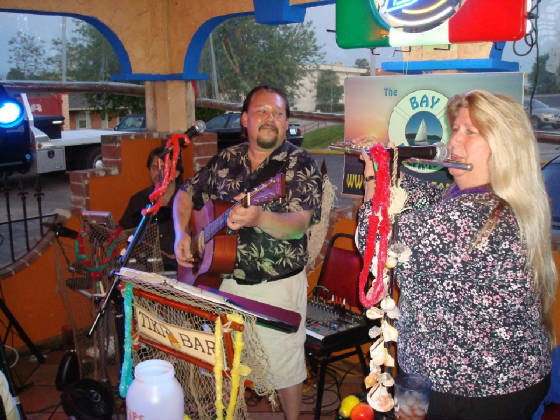 Live Webcam from the Hog's Breath Saloon in Key West! Live Bull Riding Cam at Cowboy Bill's in Key West! Live Webcam From The Green Parrot Bar! 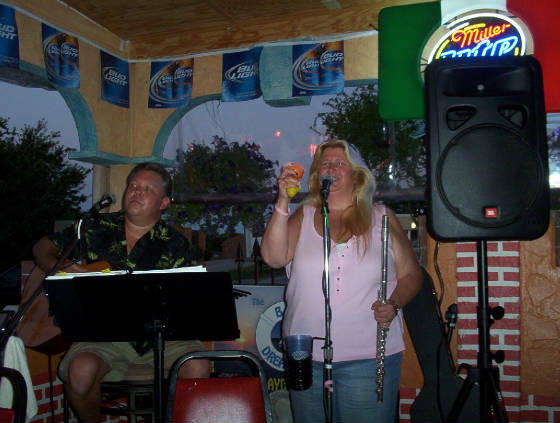 Live Blues Bands Friday and Saturday! 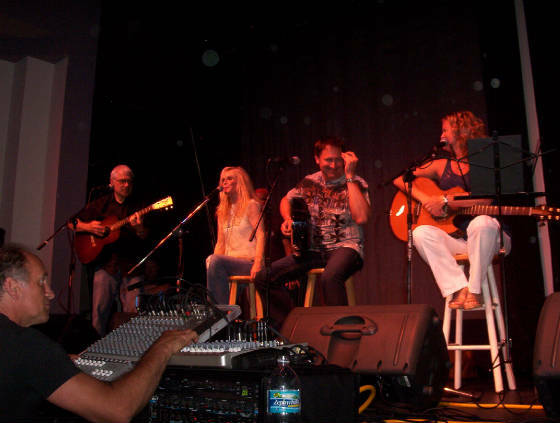 Click for Nashville's Best Songwriters Playing Live! 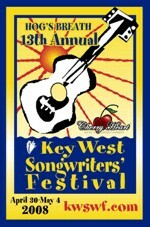 Click for Live Video Clips of Nashville's Best of the Best Songwriter's at the 2007 Key West Songwriter's Festival at the Hog's Breath Saloon! Listen to the original versions by the songwriter's themselves of Nashville's top hits like "Jesus take the Wheel" and "These are my People"! 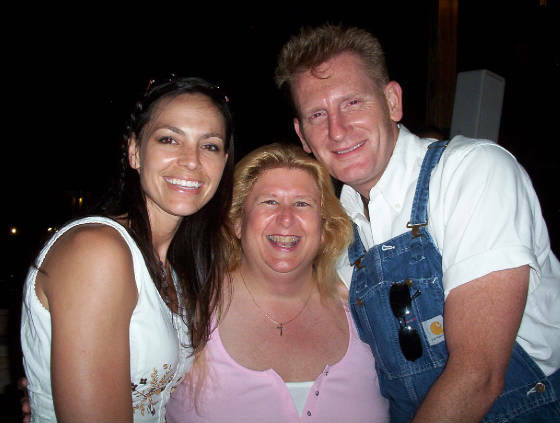 KIm with Joey and Rory from the CMT show "Can you Duet"! 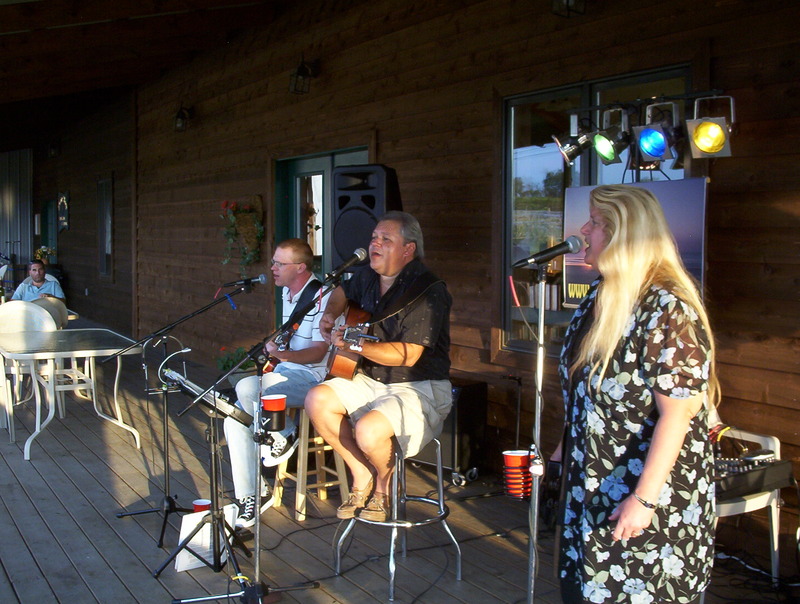 Chuck Cannon and Chuck Jones at the Casa Marina! 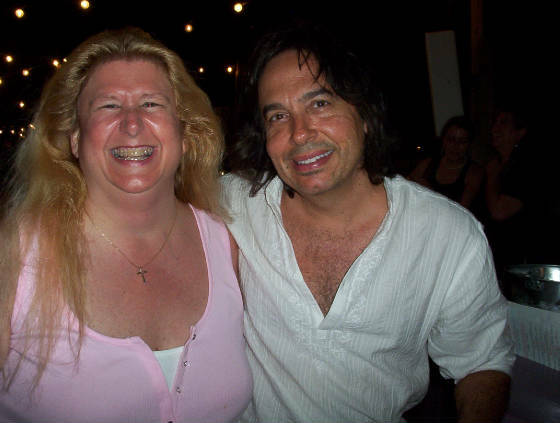 The legendary singer/songwriter/guitarist virtuoso Chuck Jones and me! Kim performing "STAY" by Sugarland! "Bay Dreams" at home on Cave Run Lake! 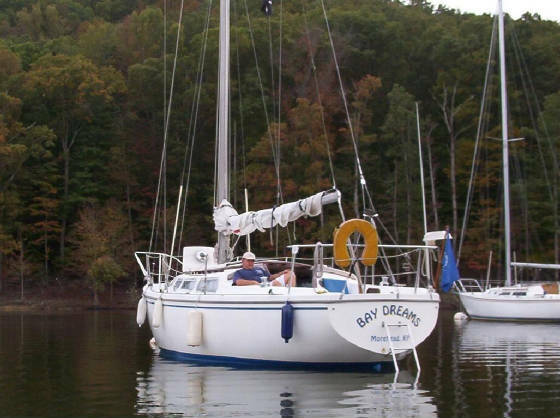 When not in Key West or playing music Herb and Kim sail "Bay Dreams" on beautiful Cave Run Lake in the Daniel Boone National Forest. 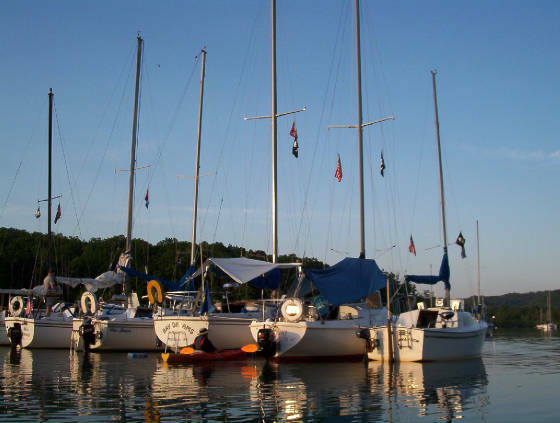 The lake is one of the best sailing destinations in Kentucky. Less than 90 miles from Frankfort the lake is located off of I-64 just outside of Morehead, Kentucky. It's well worth the drive! Raft -up on Cave Run Lake! 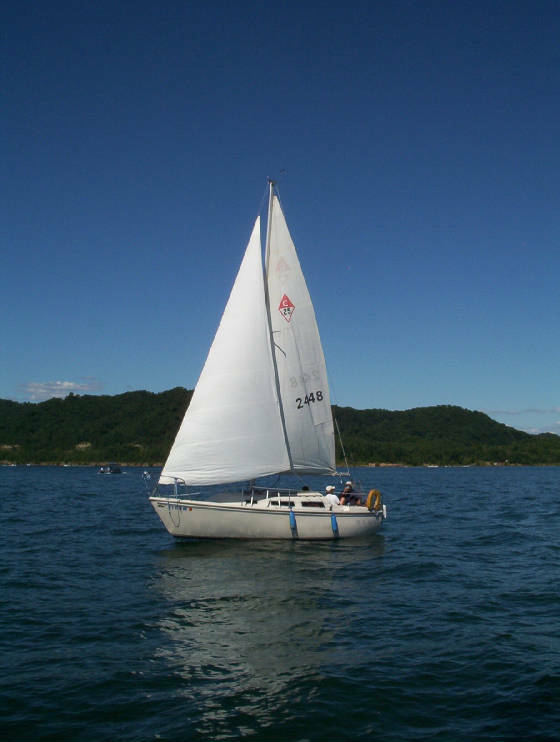 Catalina 25 (M.T. Nest) sailing on Cave Run Lake! 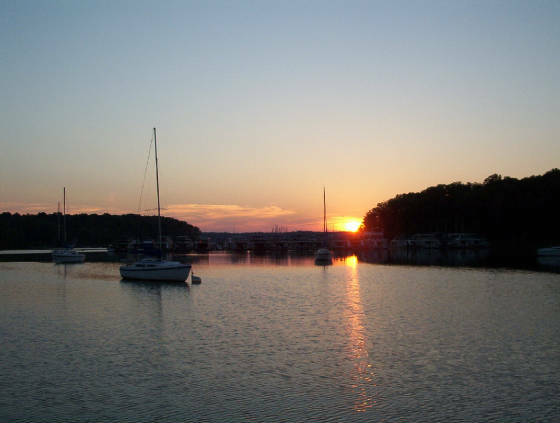 CLICK FOR CAVE RUN MARINA! 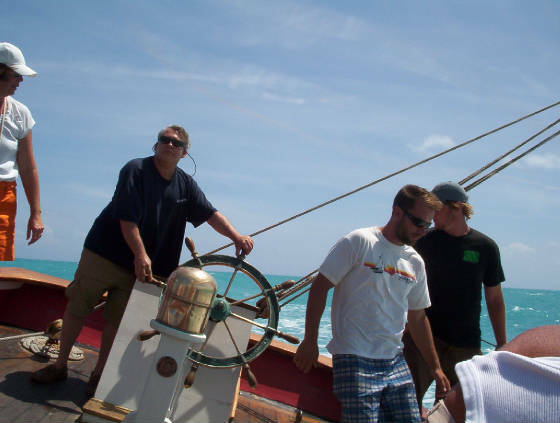 Herb at the helm of the 86' Schooner Appledore! CLICK HERE to see another lucky soul sailing the Apppledore in April 2009, but with not as much wind...we had 20-25 knots gusting to 28! COOL SITE FOR LYRICS, MIDI & MORE!